I close friend of mine recently gifted me a documentary on Ayn Rand, and I decided to watch it this hot afternoon. As I got myself ready in a plush chair while the DVD churned in the laptop with considerable noise, I tried to remember why in the past 2 years I had almost forgotten everything about Rand and her writing? At the time I had read Rand (Fountainhead & Atlas Shrugged), I was quite in love with it. My eyes were not keen enough to notice the wooden prose and straightforward style then, but my own intellect was alighted with passion. Rand, to me, was and is a great philosopher and story teller - her strong sense of characterization and portrayal of human reason & emotion is soul piercing. She is definitely not a literary genius as the ones that I’ve been reading in the past year – but that being said, she had a great influence on me as a person. But also, I wouldn't like to say that I am molded by her philosophy, because that's not the truth. The reason I like her so much is that she was one of the first and perhaps very few persons whom I have met, who happen to think quite exactly as I do. She fought for the same things that I've strived for. The importance of individual. I remember, reading through parts of Fountainhead and Atlas, I had almost cried. Because in those moments, I was suddenly not alone. I had a feeling that there was someone else in the world, who felt the same, who felt quite exactly the same. That one can’t be servile to other. That one has a right to one’s own happiness. And now watching her documentary brought all those passionate memories back to me. That Ayn Rand phase of my life. How did I forget all about it? It was also pleasantly surprising to know that in childhood Rand was quite anti-social, and did not have friends. It helps me to know that I have not been the only one living life in solace. And her ideas of Capitalism and selfish reason have never failed to rouse me. It's not surprising to see that her novels are on top list of modern library's readers’ choice (#1 and #2). For some reason, I've hopped on to pursuing the board's list on the left lately. But I have always wanted to find a guy like Roark; I never saw him so far, and perhaps will never be able to. I doubt if such a person exists. The world of Ayn Rand and her great men are now left behind in my memory. But why? Oh yes, now I remember why I had forgotten all about Ayn Rand in those past years. Because you don't often are conscious of the ideals you inherently follow. You just believe. Because you don't count every breath you take. You just breathe. Ayn Rand screwed me up quite bad....but damn she was right all along in doing so. I love the last two lines of your post! Btw, I agree with you that she may not be a literary genius, but her philosophy is definitely work of genius. @ Bheesm, O_O now that's interesting. Ayan Rand, a lovely post. 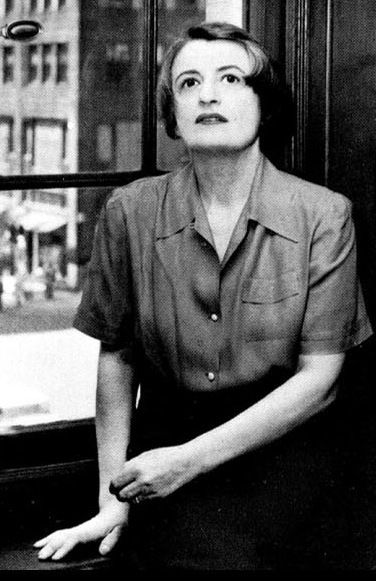 Ayn Rand is sick, malinformed and sadistic. Just read one sentence of this abhorrent and immoral monetary worship. Rand envisions this simplistic, decadent world where currency is supreme, which places a dollar sign on everything, even human life. This monetary ideology fuels the concentration of wealth without fail. Perhaps one day, expressing an admiration for Ayn Rand will kill a career in business or politics as surely as admiring Hitler or Stalin does today. It's not surprising to know that there might be people out there who like Tolkein and hate Rand, or vice versa. Both of them are very diverse writers, Tolkein a champion of literary fantasy and Rand a champion of individualistic philosophy. And not everyone has diverse interests and intellect, do they?